A valid, signed US passport. The passport must have at least 6 months remaining after the completion of your stay in Eritrea, and contain at least one blank visa page. For multiple entry, a letter requesting a multiple entry visa and giving reason why it is needed is also required. Multiple entry visas are not always granted. 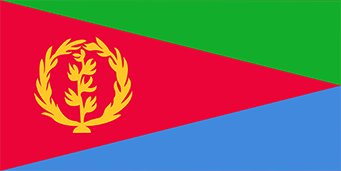 The Eritrea visa is usually valid for the specific dates requested on the visa application, for a length of stay not to exceed 30 days.